As we cruise Insta for fashion inspiration, odds are you’ll find slogan graphic tees, like “The Future Is Female” and “Feminist AF”. The fashion world has been quick to commoditize our increasingly activist voices. Fashionistas are showing their values on the streets. Via fashion, beauty and lifestyle online magazine Q-E3. But in our quest to commoditize our values, we sometimes forget the production process. Is the woman who made our “Future is Female” tee any better off? (1) We’ll be streaming the talk LIVE on Facebook. (2) Download our wallet-friendly conscious fashion buying guide. 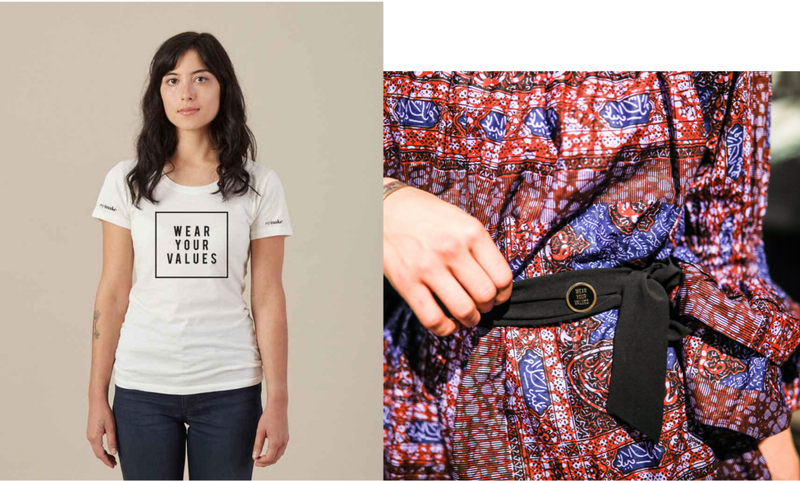 (3) Sign up for our mailing list on Monday 3/12 before midnight and enter a chance to win $1000 of product from our favorite conscious fashion brands, including Remake’s very own limited edition, super soft, organic Wear Your Values tee. Around the world, Remake’s Ambassadors take to the streets to meet you, photograph or video your street style and get your thoughts on how we can all wear our values.